The run up to the festive period wouldn't be the same without a game against Orkney to look forward to, and this weekend St Duthus will travel across the Pentland Firth to meet their Island counterparts as they look to extend their winning league run to five in a row. The sides have already met in Tain this year in a game which went Orkney's way by the odd goal in five. St Duthus will be keen to make amends for that result. A handful of absences have left Stuart Ross with some decisions to make for the journey over the water. Most notably, captain Cammy Mackintosh faces a late fitness test, while defender Charlie Macdonald is also a doubt with an ankle concern. Barry Kenny, Lewis Ross and Will Ross are also unavailable due to work commitments. Stuart is hopeful for another good performance on the back of the 6-2 win over Bunillidh. "The squad is in high spirits and we're looking forward to making the journey once again for what should be a good game and hopefully we can continue our run of winning form." 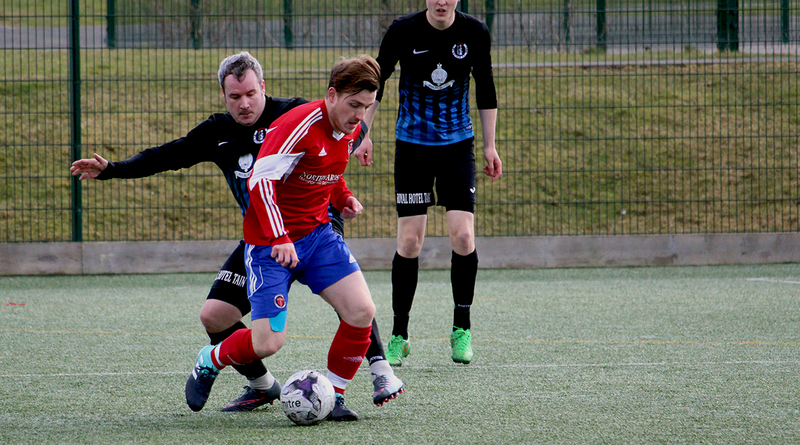 Although they have played less games, Orkney have remained undefeated since October and most recently claimed an impressive 4-1 away win in Thurso. As defending league champions, their current league campaign hasn't perhaps gone the way they would have wanted it to, however recent results suggest that they are on the up. Chris Hellewell, who snatched two of the Islanders' goals against Thurso, tops their scoring charts with six goals so far this season. The game kicks off at the earlier time of 12.30pm.